RASUWA, Feb 18: With Secondary Education Examination (SEE) inching closer, number of students studying in various schools of Rasuwa have stopped going to school in order to join tuition classes. The current academic year is about to conclude but still, the courses in most of the schools have not been completed yet. This has compelled the students to move out of their villages to join tuition classes and complete their courses before the exams. Most of the students of various schools of Aama Chodingmo Rural Municipality have stopped attending their classes at schools after Dashain and Tihar vacation. According to the parents, there is no favorable environment for studying in the villages due to which they have to send their children to other villages for tuition. Nabin Lama, principal of Nepal Rastriya Secondary School (NRSS), informed that students go to Syafrubesi, Kalikastahan and Kathmandu for tuition. In the beginning of the academic session, there were altogether 14 students in grade 10 of NRSS. But now, there are only seven of them. "As many as seven students appearing for Secondary Education Examination (SEE) this year have left the village," said Lama. With more number of students boycotting their school, classes have been badly affected. "Those students will come back only for exams," Lama added. As per the provision of the government, students appearing for SEE must have 70 % attendance but most of the students are unable to meet this requirement. 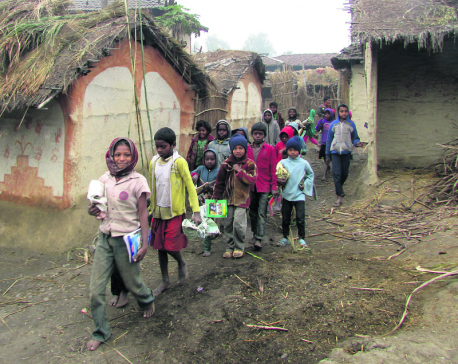 Amar Lal Yadav, principal of Parbati Kunda Secondary School, informed that less number of students have left the school this year as compared to last year. 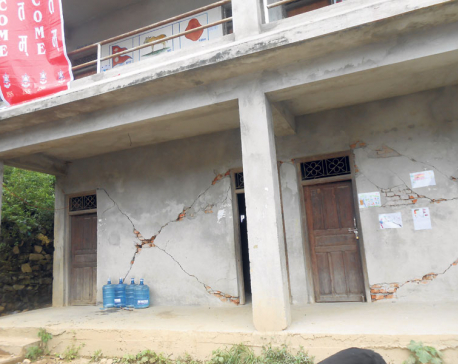 "Altogether 33 students will be appearing for SEE from our school this year and only seven of them have moved out of village for tuition," Yadav informed. Last year, comparatively more number of students had left their schools due to unavailability of teachers. Lack of teachers and their negligence, hectic schedule and influence of western culture have been the major reason for the students to leave their schools. "We cannot afford to pay the school fees in Kathmandu. That is why we send them for tuition for five months before the exams," said Pembajemo Tamang of Gatlang. This year, a total of 773 students will be appearing for SEE from Rasuwa. As many as five exam centers have been determined for the exams.